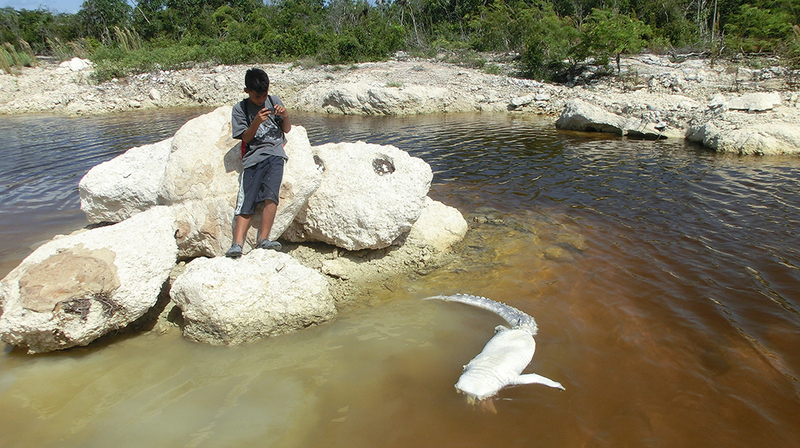 Press Release - September 25, 2012 – American Crocodile Education Sanctuary/ACES – On Sunday, September 23rd a young Nestor Castillo, (AKA “Busta”) reported to ACES that he had spotted a dead crocodile in the north Ambergris Caye area. 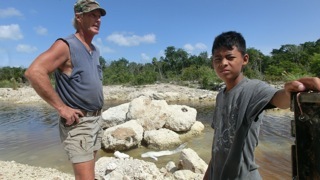 The following day, Castillo led the ACES team to where the dead croc was discovered very near to an area that is currently a proposed protected area for wildlife but is frequented by hunters. After retrieving the floating carcass from a roadside canal ACES was able to determine that the croc had been shot in the back of the head, most likely as it tried to flee. The head had then been chopped off with a machete. 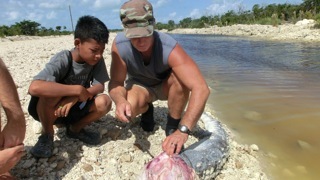 American crocodiles are a protected species and this activity is illegal in Belize. The purchasing of the skull or teeth or any parts of crocodilians is also illegal. In fact, if anyone tries to cross International boarders with any parts of an American crocodile, they will be arrested, fined, and jailed. 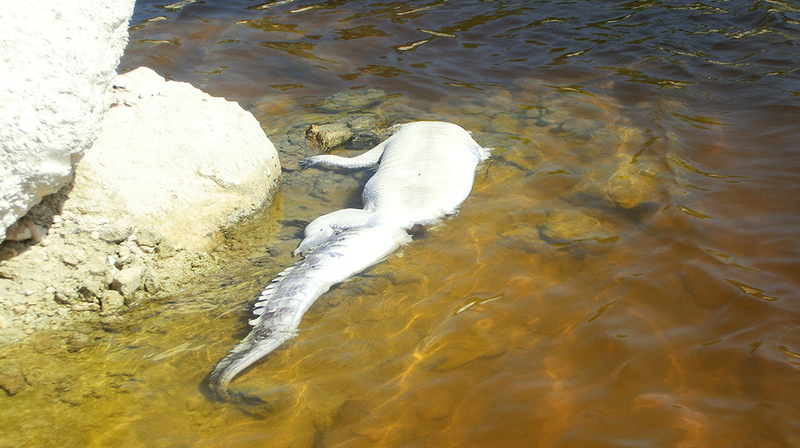 ACES asks that anyone who sees a croc skull or teeth for sale anywhere in San Pedro to please call the local police or ACES at 631-6366. Permitted through the Belize Forest Department, ACES is authorized to confiscate these illegal items. Only through working together can we save the species for our future generations.